And isn’t the goal for our “HOME” to be a place where our loved ones want to gather in close to make sweet memories? I like to think of it this way; when my sweet ones and friends are in my home, I want them to feel like they get a big ole’ hug as they walk from room to room. Comfy furniture and décor that creates a cozy, welcoming, cheerful space are sure to make everyone feel right at home. I will just have to admit it straight out, to you, I lean toward “vintage style” Big surprise, right? I know that “farmhouse style” is all the rage right now, but some of us have loved a version of it for a long time. 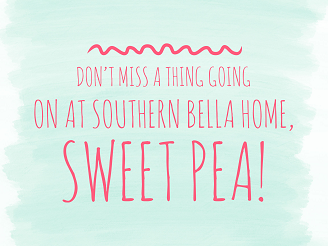 Real farmhouse style, that is. 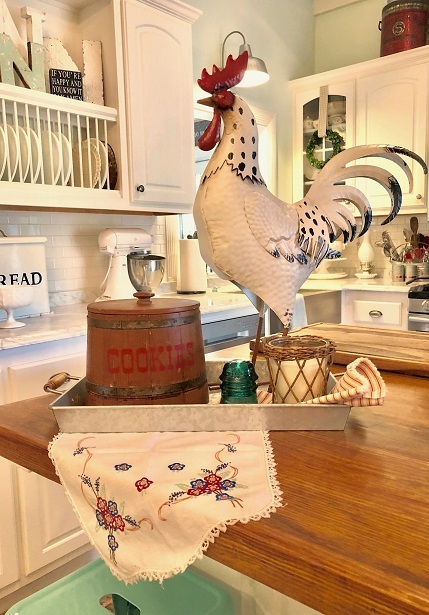 You can find “new” farmhouse style décor items everywhere, and there is nothing wrong with that. But, without a doubt, the reason that I love this look is because of the way that antiques, and more modern pieces blend together beautifully when a home has this design style. The “Farmhouse style” comes in so many variations. You can go in a very rustic direction, or with the popular “all white” look that so many people love. Your taste may lean toward a more “shabby-chic” cottage vibe or a modern urban barn look may speak your language. Some people adore more traditional touches while others go very primitive and early American. After all, let’s remember that authentic vintage American farmhouses varied according to where they were located and also due to the influences of the country from which settlers originated or migrated. Regardless of which type of farmhouse look you prefer, you can create the atmosphere that you love, and your family will enjoy the comfort of this casual style. 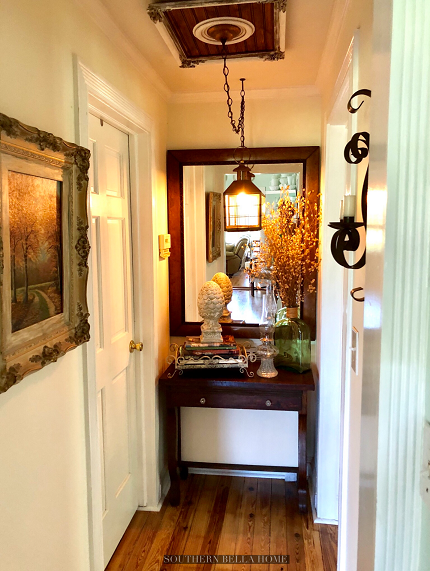 If you live in a historic home, you can achieve the look that you want, that is also historically sympathetic with these tips. 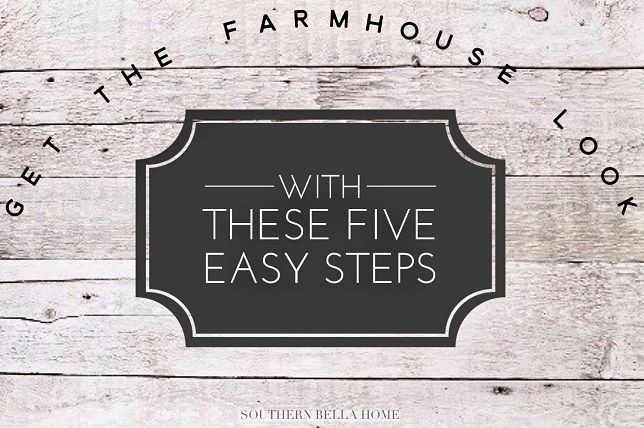 If you have a new “farmhouse” you can also use these tips to create the feel that you are going for. It is not a difficult look to pull off. As a matter of fact, it is really very easy, and it is so much fun to hunt for the perfect item to complete the space. Then, it is so satisfying to put a room together with all the treasures that you have collected. Decide on the “feel” that you want to create. An open, light and airy feel? Go with a white or ivory. A fresh, vintage cottage feel? Go with a pale mint, pale blue, soft sage green, or even pastel pink. A warm and cozy country feel? Go with a tan, golden yellow or beige. A cool, modern rustic or industrial feel? Go with grays. A stately, sophisticated or Victorian look? Go with dark tones like navy, dark green, brown, red, or burgundy. I suggest that you look online to check out pictures of different wall colors and rooms that have the overall look that you are going for. This will help you to envision your own space with a new wall color. Go buy that paint and “get to painting”! Nothing has as much impact for as little expense as a fresh coat of paint! If you do not have the opportunity to alter your flooring, then rugs are a fabulous option for creating the look and character that you desire. They really go a long way in tying a room together and completing the overall design style that you are attempting to achieve. Wool oriental, needlepoint, and hooked rugs, cotton braided, woven jute, and braided rugs all work so well. They all will create a different but charming farmhouse feel and they are available in a wide range of price points. 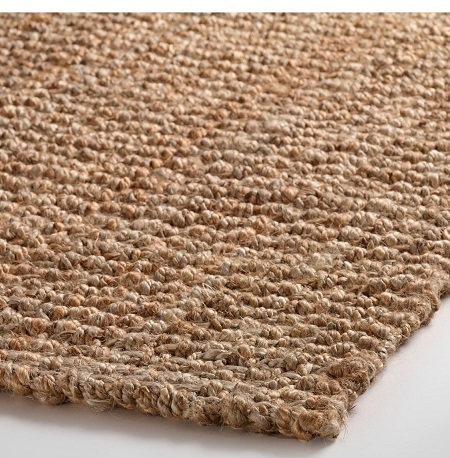 If you are going for a modern farmhouse feel, then the braided jute and woven cotton rugs would be perfect. If you want to take your look a lot further, then, consider your permanent flooring options. 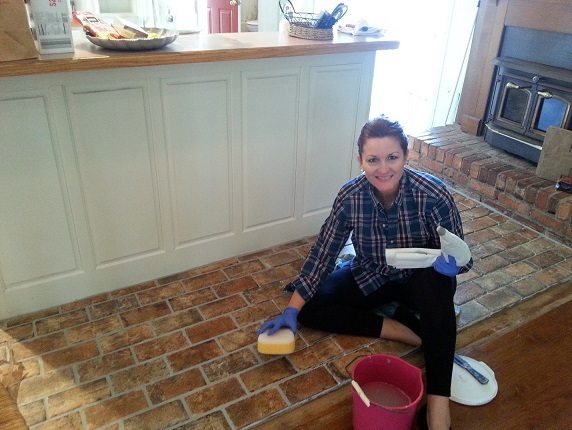 If you have the opportunity to install wood floors, they are the most accurate and appropriate flooring for the authentic vintage farmhouse look. They may be heart pine, hickory, oak, or fir, but really any wood will do. Fabrics bring in color, softness and comfort like no other ingredient in your décor! Simple window treatments, perky pillows, pretty blankets, basic solid slipcovers and upholstered furniture all bring color and texture to the vintage farmhouse/cottage style. Plaids, checks, toiles, florals, and lace are just a few of the choices that create an authentic vintage feel. Whether your taste leans toward neutral oatmeal colored linens, soft vintage florals, ticking stripes, brocades and velvets or heavy textures such as cotton duck, choosing correct fabrics will help you to drive home your version of a warm, welcoming and cozy vintage design style. Surprisingly, the right fabric choices can single handedly steer a room’s overall feel and can immediately give you the charming and quaint farmhouse look that you desire. 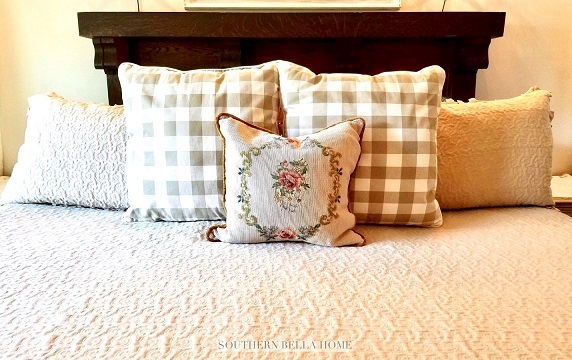 Just picture a beautiful throw pillow on the couch, a soft plaid blanket draped across a chair, lovely curtains and a canvas slipcovered chair or a beautiful velvet covered antique settee’ make the perfect combination. The great thing is that none of these are difficult to find or expensive to execute. Aahhh…antiques! They are such a wonderful addition to the home! I absolutely love them! Give me a day antiquing and I am a happy girl. A beautiful antique will pay for itself many times over in the contribution that it makes to your décor. 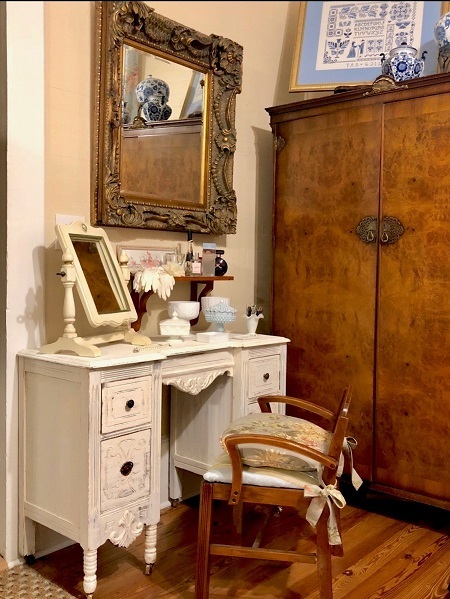 The warmth of a beautiful old wood buffet, the allure of a vintage ladies dressing table or chest of drawers, the time worn charm of a table or chair that is showing it’s age…can’t you just picture them all now? And let me say that although my home is brimming with antiques, I have purchased every single one of them at “rock bottom” prices! You just have to keep your eyes open and be patient. They are far less expensive than new fake wood pieces and the character of old pieces is unmatched! 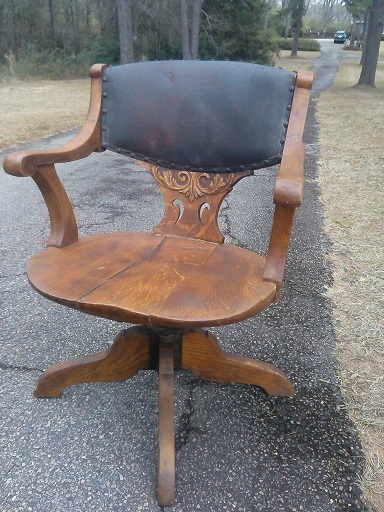 With all of that said, if you don’t have any antiques or vintage pieces in your home, I am sure that most likely you have seen them for sale at thrift stores, garage sales, online market places, etc. Have you ever thought, “I love that (table, chair, stool, etc.) but I don’t know where I would use it”? Well most of us, who frequent these sources of antiques, have said the same thing at one time or another! Sometimes it is a little hard to envision pieces in their current state. That’s where our creativity comes in to play. That’s where the FUN begins! I have made it my practice to remember, “If I really love it, I will find the perfect place for it”. 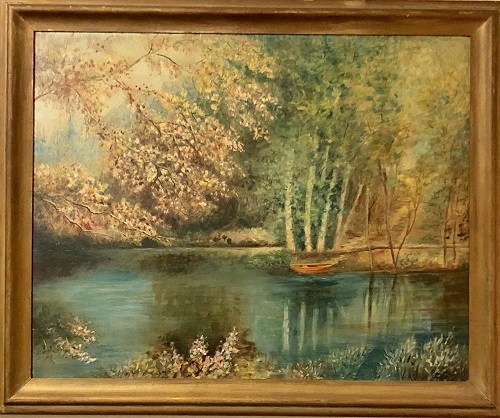 Time and time again, I have bought something because I loved it and the price was too good to pass up, not knowing where I would use it, then I get it home and find the perfect spot for it and I am so glad that I bought it. But there have also been those times where I bought something, took it home and stored it. Then as much as a couple years down the road, the piece makes it to its perfect spot in our home. So, I guess what I am saying is, don’t be afraid. If it is extremely affordable and something that you truly love, and if it “speaks to you”, maybe you should trust your instincts and take it home! Also, are you like me when it comes to adding heirlooms or “hand-me-downs” to your home decor? I am, what you might call a tad bit sentimental. I love to use things that have a story and are part of my family’s history. So, my encouragement to you is to use those pieces of family furniture proudly. 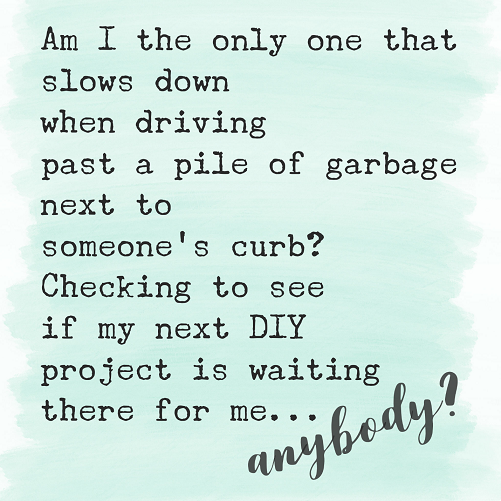 Even if they require a “do over” or repair work. You will enjoy them so much in your home if you are anything like me. It gives me joy to be surrounded by such precious family treasures. 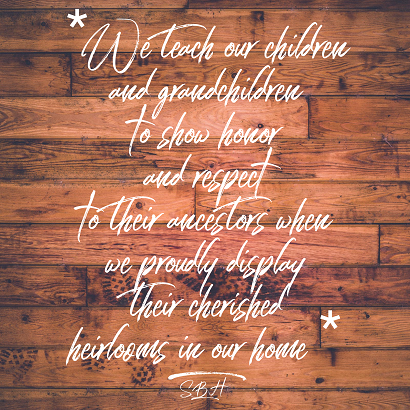 Displaying or using family heirlooms is a great way to hand down sweet memories to our children and grandchildren! There is no doubt, I would much rather hang a plate on the wall that belonged to a dear loved one, than to go and get one from T. J. Maxx, Hobby Lobby or Ross. Now that does not mean that I don’t love those stores and buy things there too, but given the choice, I will always choose vintage or family pieces! Here in the south, we are big on using those family pieces. I am not only talking about furniture. How precious to decorate with “well-loved things” that belonged to precious family members, who may or may not still be with us. If it’s a family piece, it is like gold! The type of item really doesn’t matter, but the history definitely does! 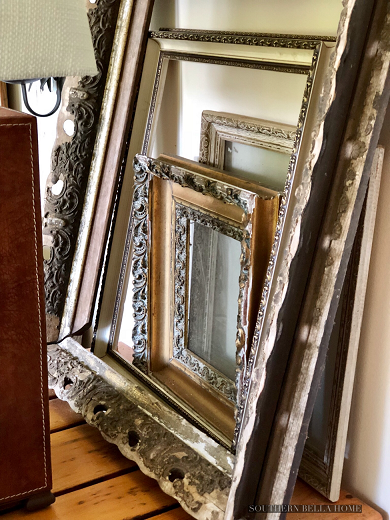 The tradition of handing down family treasures is such a loving and powerful way to link our families to their past and it totally lends itself to the historic vintage farmhouse look or almost any other style of decorating for that matter. Your imagination is the only limit of how these precious items can be used to add charm and a touch of nostalgia to your home. This old frame window hangs on our living room wall. It is from my daughter-in-love’s great grandparent’s little country church in South Georgia. The church is well over 100 years old. When the windows were replaced, they were all saved and I was given one of them. I treasure it! 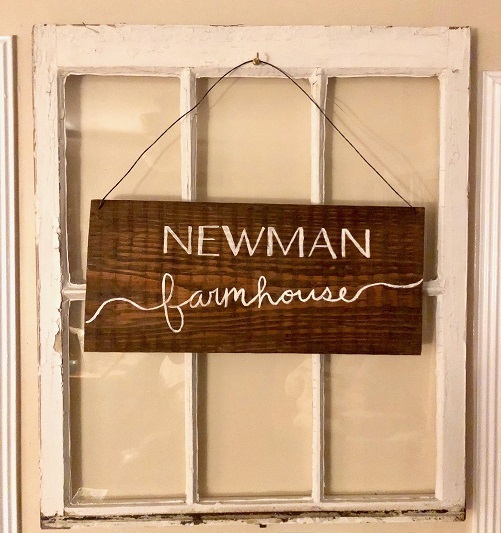 The farmhouse sign that hangs on the window was made by my son and his wife. It was made from a tree at their farm that had fallen in a storm. They gave it to me as a very special Christmas gift while we were working on the restoration of our farmhouse. Now, I know that not everyone is blessed to have family pieces, but never fear! You can still create that “cozy vintage feel” by picking up things at thrift stores, yard sales, flea markets and antique malls, in order to decorate your home. There are treasures literally being thrown away every day. I should walk around my house and count how many things that I have picked up beside the road, and brought them home. Some had to be “re-loved” and some were fine as they were. I have a lot of fun with these items! There are so many “diamonds in the rough” out there, just waiting on someone to see the potential and take them home! 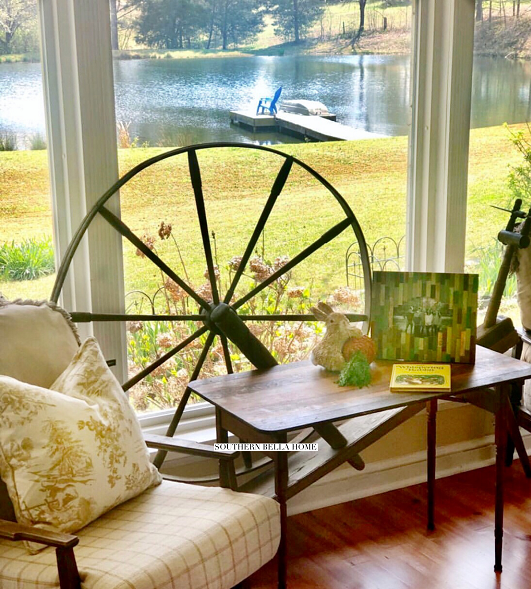 While you are out treasure hunting, if you see something that triggers a fond memory from your childhood, I encourage you to take it home, and use it in your home décor. Each time you see it, you will enjoy that moment in time, all over again! That’s what I call “instant nostalgia”; meaning instant charm, instant history, and lots of opportunities to tell great stories about what that piece means to you! 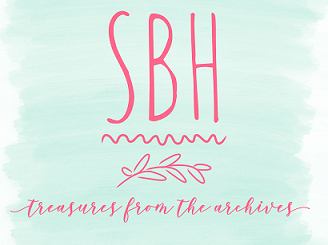 Well friends, I will sum up this blog by asking you to always remember a couple of things, along with the 5 steps. Your home should reflect you and your taste, not just the current trends. Your taste and the style of your home should be the driving force behind your decorating! Also, you can have an absolutely fabulous home while spending very little money. If you are intentional with your choices, have patience while seeking out bargains, and use imagination with the things you have, you will most likely be so very happy with the end result. As for me, it’s obvious that I love vintage style. It fits in our 1900 farmhouse. It fits me, because I have loved antiques for as long as I can remember. I feel as though the style never goes away. 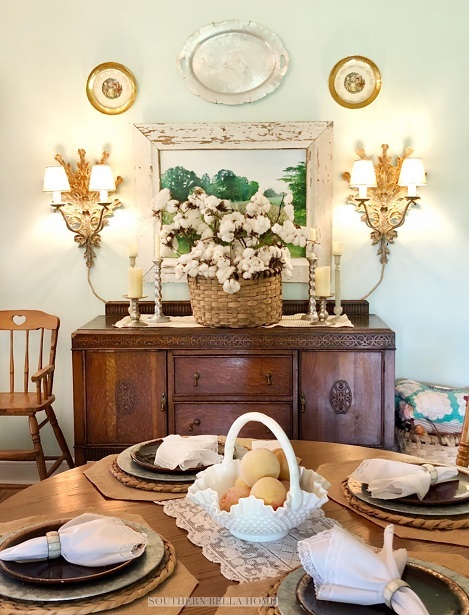 It gets called by different names from decade to decade, but it always revolves around beautiful old furniture, old kitchen things, old dishes, old linens, rugs, etc. These things can readily be found and usually for very little money. 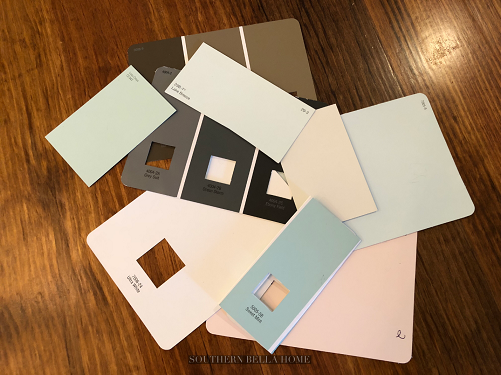 They will give you the look of a vintage home with charm, character, and a connection to your family history! 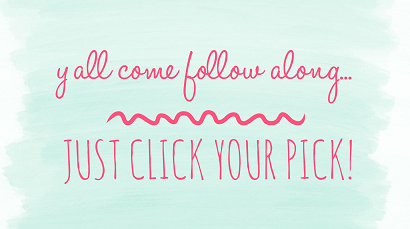 So, now, using these 5 steps, go have fun decorating, y’all! Remember what is most important!